When visiting Panama City, the vibrant capital of Panama, for the first time, I wouldn’t blame you for forget (even if for just a split second) that you’re in Central America. The city’s vertiginous downtown skyline looks more fitting for a prosperous city in the U.S. or Canada than the capital of this Central American country. Dig in a little deeper to Panama City though and you’ll quickly discover exactly where you are in the world. Don’t make the mistakes of rushing through on a layover: there are plenty of things to do in Panama City. The city sports a long beautiful coastline with palm-lined white sandy beaches and clear warm waters for your viewing pleasure. The jewel in the city’s crown though is the trendy old quarter of Casco Viejo. This visually-stunning area comes alive in the evening with some of the best outdoor dining available in the city. Jazz bars and sidewalk cafes serve cocktails and entertainment to young and old. The Panama City area is also surrounded by rainforests, hot springs and a massive caldera offering endless hiking opportunities to those who love the great outdoors. 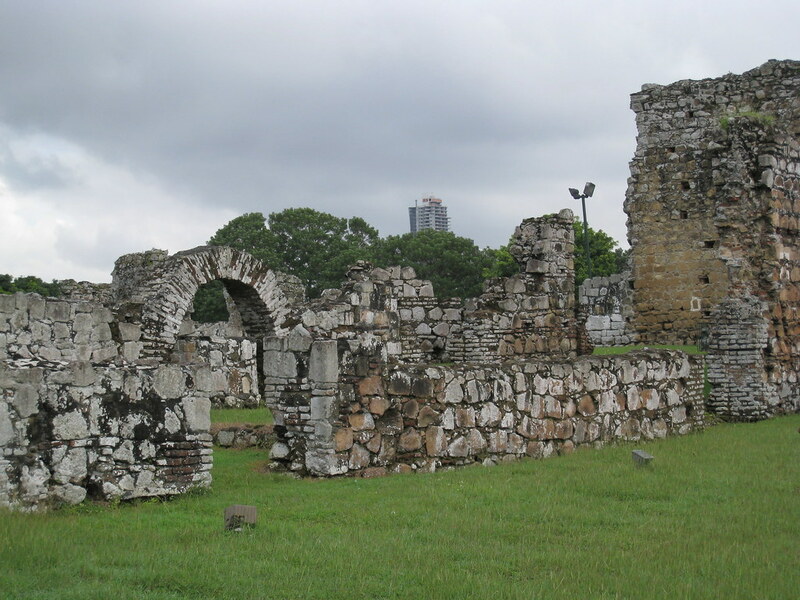 The ruins of Panama Viejo are a must-see for any visitor to Panama City. The first European city on the Pacific Coast, Panama Viejo was burnt to the ground and plundered in 1671, 150 years after it was founded. Wander around the ruins and climb the old tower to gaze upon the beautiful views beyond. The cathedral, monasteries and municipal buildings offer insight into the lives of the early settlers. The ruins tell the city’s tragic tale. The modern museum holds artefacts and three-dimensional models of buildings of the time. It’s definitely one of the best places to visit in Panama City. Panama Viejo’s a large site, but there’s a trolley bus that shuttles visitors to places of interest, so there’s no need to sweat it out in the tropical heat. 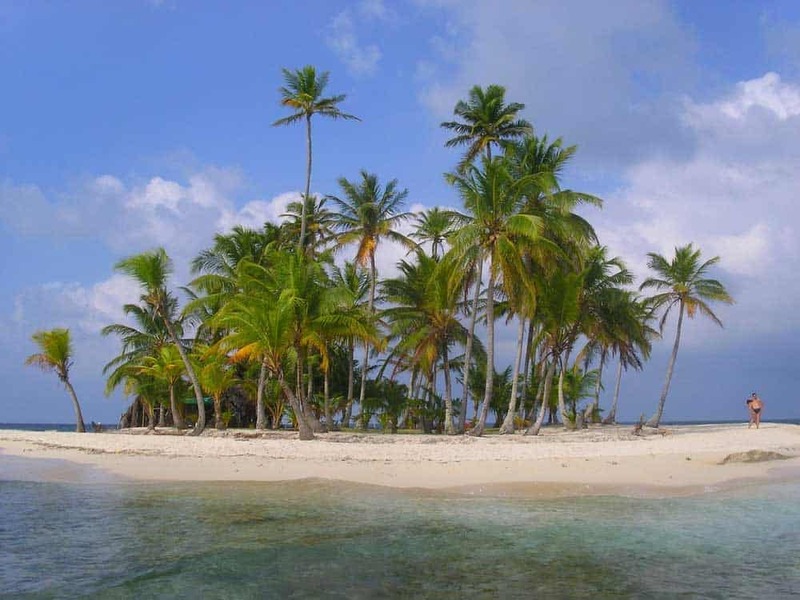 The beautiful San Blas Islands are a fair way off from Panama City, but if you’ve got some leeway on your Panama itinerary it’s worth planning a couple of days on the snowy-white palm-fringed beaches of one of these unspoiled paradise islands. The 360 tropical islands are autonomous. They’re run by the indigenous Kuna people who’ll host, and feed you. Spend the day snorkelling in the clear warm waters or take a boat ride to one or more of the other islands. The islands can be reached by small aircraft or, if you have more time, you can charter a boat and visit several islands along the way. You’ll enjoy an adventure filled trip of sunshine, sea sand and the warm turquoise waters of the Caribbean Sea – one of the best Panama City attractions. 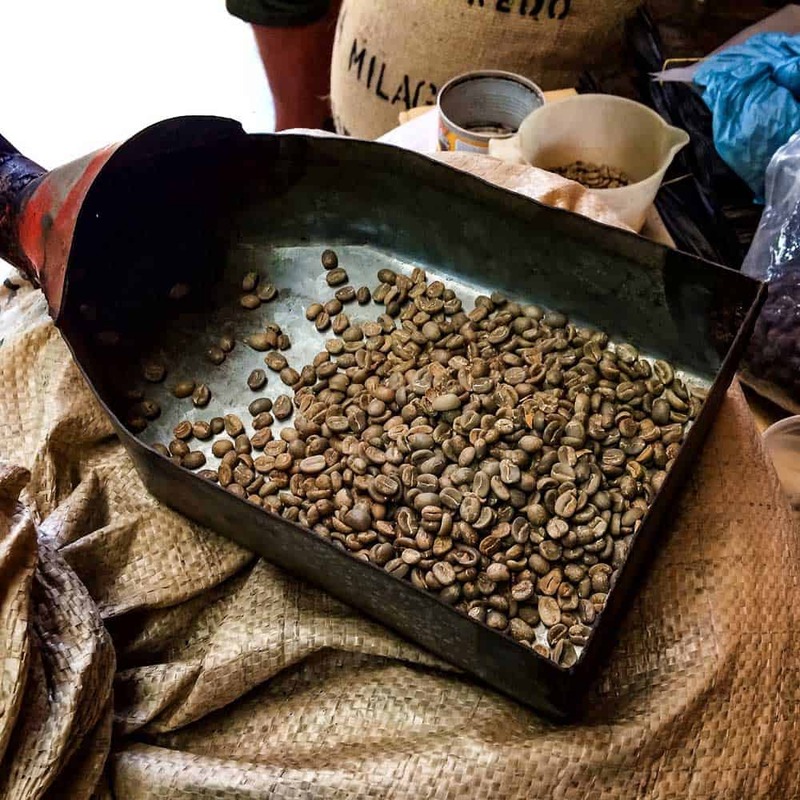 It may be the most expensive coffee on earth, but this award-winning green coffee is one of the best the world has to offer. In Panama, where it’s grown, it’ll cost you half of what you will pay if you find it served anywhere else in the world. Originating in Ethiopia, Geisha coffee is now grown high up in Panama’s tallest mountains near the town of Boquete. The coffee is smooth, fruity and non-acidic. It must be enjoyed black, with no milk or sugar! The barista at the Bajareque is a skilled coffee brewer who’ll demonstrate the art of coffee making and serve you the coffee with a pastry of your choice. While you’re there buy a few bags of Geisha coffee to take home with you! 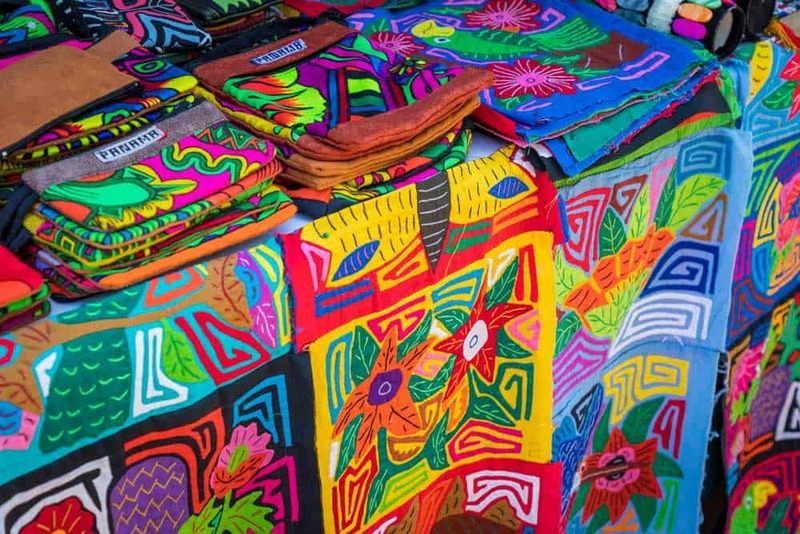 If you’re looking for a local shopping experience, spend a few hours browsing at the Mercado Artesanias de 5 de Mayo. Located as it is in a slightly shabby part of town, there are few tourists. You’ll get a truly authentic market experience here. The prices are reasonable and you’ll have the chance to chat to some of the local crafters selling their wares in the market. Rest assured they are all authentic as you can watch some of the artisans hard at work. Traditional painted ceramics, baskets and colourful handmade fabrics jostle for space with dolls in traditional costumes. 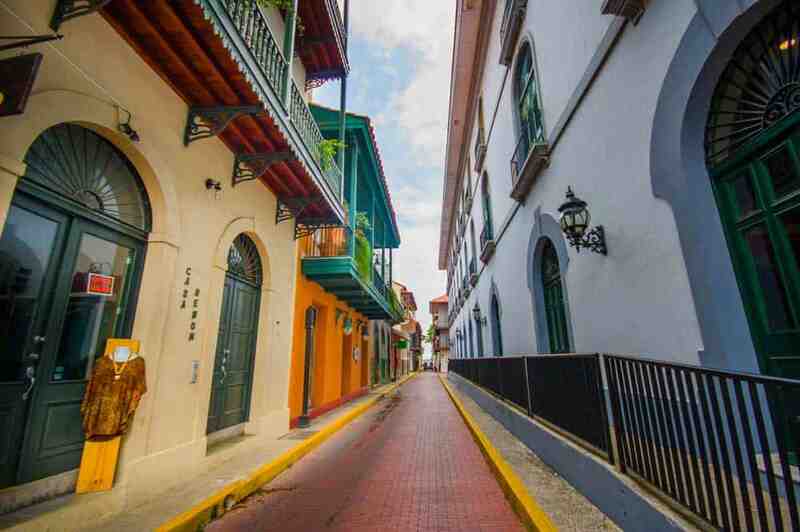 Close to Panama City’s noise and chaos, the old quarter of Casco Viejo is quiet and organized. Once a den of gangsters, the area has become chic & trendy in recent years and is a must-see whether you have 24 hours in Panama City or a week. The cobbled streets are lined by lovely Spanish colonial buildings, restored to their former beauty. These buildings now house bars, art galleries, hotels, and restaurants. Casco Viejo is quiet during the day but in the early evening, the area comes alive with people and music. Rooftop bars offer lovely views of the surrounding areas as you sip cocktails in the warm tropical climes and the pavement cafes ring with laughter and song. This is Panama City sightseeing at its best. Experience the wildlife on a series of small islands in Gatun Lake in the Gamboa Rainforest. There are over 500 bird species, a variety of monkeys, iguanas and sloths in the jungle. Boats regularly bring tourists to the islands to see the monkeys. Follow this with a hike through the rainforest to get a close-up view of the local plant life. A trip to a nearby indigenous Indian village where you’ll learn about the culture, the lifestyle, the music and dance of the local people. The lake is alongside the city’s most famous point of interest, the Panama Canal. Visiting here, you’ll have an opportunity to see the marvel of the many canal locks in action. High in the mountains of Panama situated in the highest inhabited volcanic crater in the world, you’ll find the town of El Valle de Anton. Occupied for thousands of years by indigenous people, the area has its own unique ecosystem in the cloud forests of the area. Climb to the top of the crater and you’ll be rewarded with spectacular views of the surrounding landscapes. The area has a zoo and an orchid garden and, on Saturdays, there’s an arts and crafts market where the local Indians sell their colourful crafts and fabrics. Here, you’ll find hot springs, butterfly farms, horseback riding trails and even a brewery. It also offers some challenging hikes up the caldera sides. 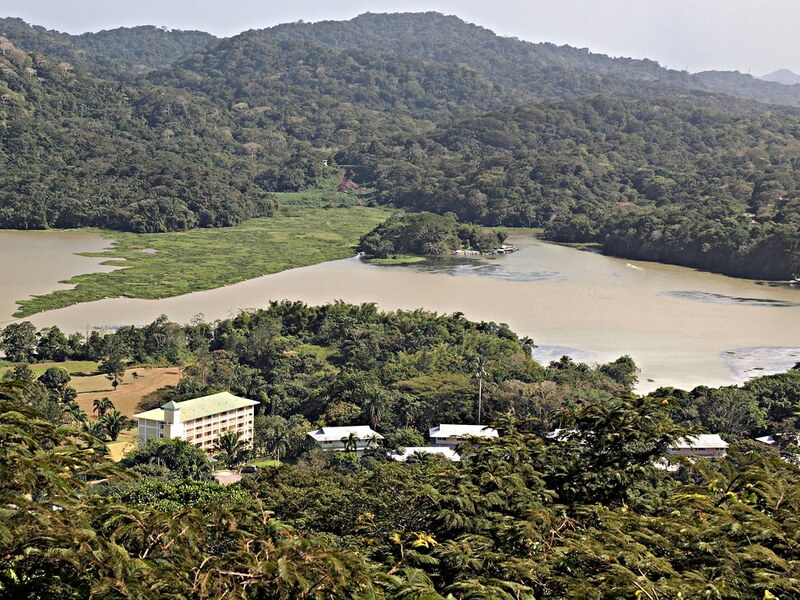 El Valle de Anton deserves a place on your Panama City sightseeing list. In a city as sprawling and notorious as Panama City, choosing where to stay can sometimes be a challenge. Although Casco Viejo is a favourite for sightseeing, I wouldn’t necessarily offer it up as the best place for accommodations. Even with the area improving its act in recent years, the neighbourhoods surrounding it (particularly San Miguel, Santa Ana, and El Chorrillo) aren’t without their problems. Eurostars Panama City: A stylish hotel in the centre of town with excellent amenities that betray its budget-friendly price point. Sweat out empanadas in the Turkish bath & sauna or relax to 27th-floor views over the city at the outdoor pool. Hyatt Place Panama City Downtown: An incredible choice for mid-range travellers, this central hotel pulls out all the stops to make your stay great. Besides the outdoor pool, guests will love the vistas over the financial district from the outer rooms. Global Hotel Panama: A delightful 4-star hotel in central Panama featuring spacious modern rooms and a fantastic outdoor pool overlooking the city. W Panama: The city’s most splurge-worthy hotel, this 5-star delivers exactly what you’d expect from W. The hip & stylish Fabulous King Rooms and their private balconies with views over the Panama skyline are well-worth the extra cost.